Housing one of the best diving reefs in the world, a school of a 100 giant jack fish come by the hotel decks each evening to be fed by the hotel staff. 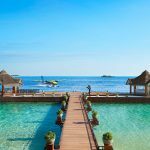 Ellaidhoo Maldives by Cinnamon, connects the marine life to the people on the island, a beautiful sense of symbiosis and possibly a guideline for how resort’s base for tourism. 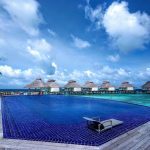 Located about 42km away from the capital and a quick 25-minute seaplane ride away, the Ellaidhoo Reef sits on the eastern fringe of North Ari Atoll – the largest of the 22 natural atolls that make up the Maldives. Abundantly lush, with shady palm trees and soft white sand, Ellaidhoo combines luxury living and star-class service with a family spirit and connection to mother earth. An award winning, Green Globe-certified resort, also holding ISO 12,000, 14,000 and 16,000 certifications. Ellaidhoo’s quaint interiors and curated trimming meet the island’s 100-year old island trees in a way that brings the best of every world into the palm of your hands. 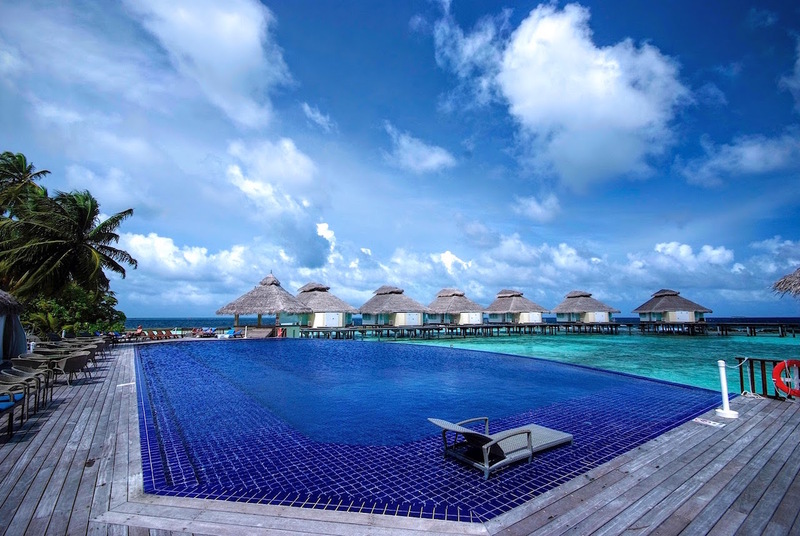 Visit Ellaidhoo Maldives by Cinnamon, the turtle-shaped island and its underwater paradise. 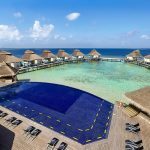 All of the rooms at the Maldives beach resort are fitted with 4-star amenities, and have been designed to make you stop and take a moment to breathe in the fresh ocean air. 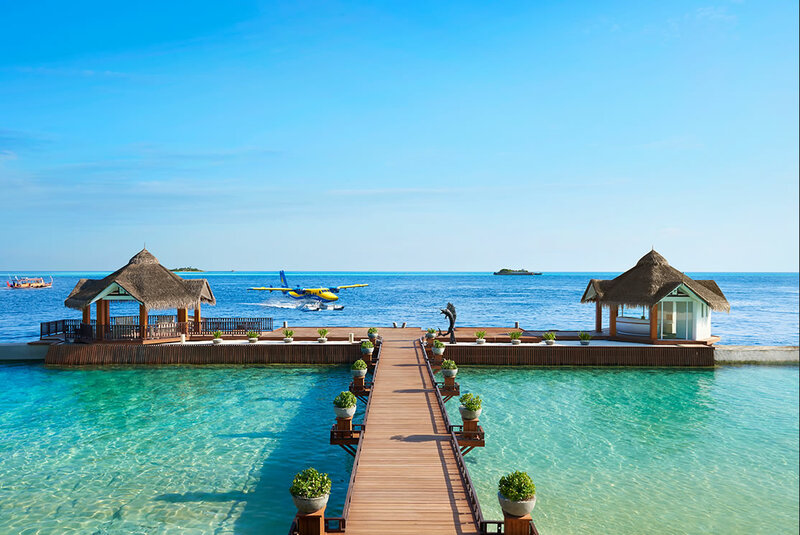 Choose from standard and superior rooms to beach bungalows and dreamy water bungalows – they’re all a treat to experience. 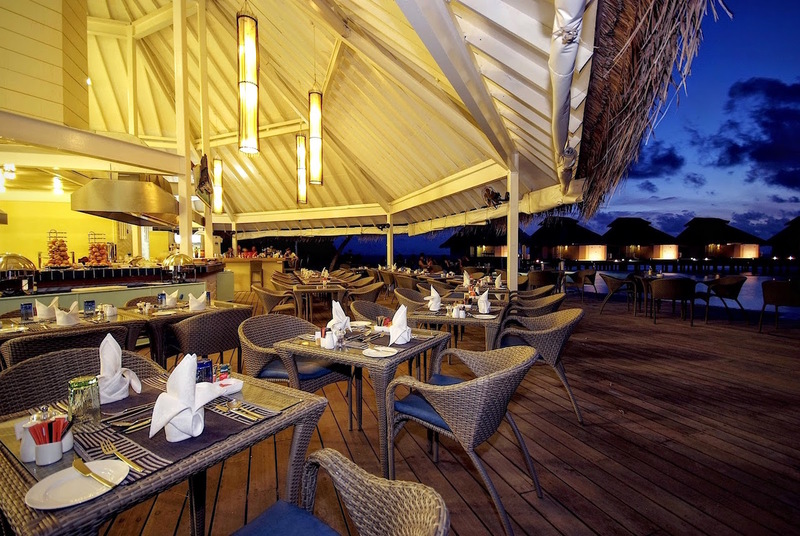 For mealtimes, explore some of the mouthwatering dishes at the resort’s main restaurant. 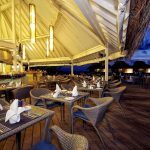 If you’re staying at the water bungalows you have an even better treat – dining at your very own exclusive restaurant and bar. Ellaidhoo’s values lie in the preservation of environment, and the efforts have been solidified by the Green Globe certification. The coral reefs this resort was named after are astounding here, and are home to some incredible underwater life. It’s no wonder that this calm little island is known as one of the top spots for divers in the Maldives. 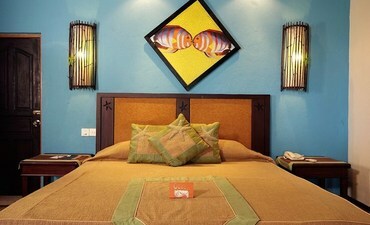 Settle into your room and get ready to dive in. Just ask resort’s diving centre about an excursion and let yourself go to the heart of the reef. 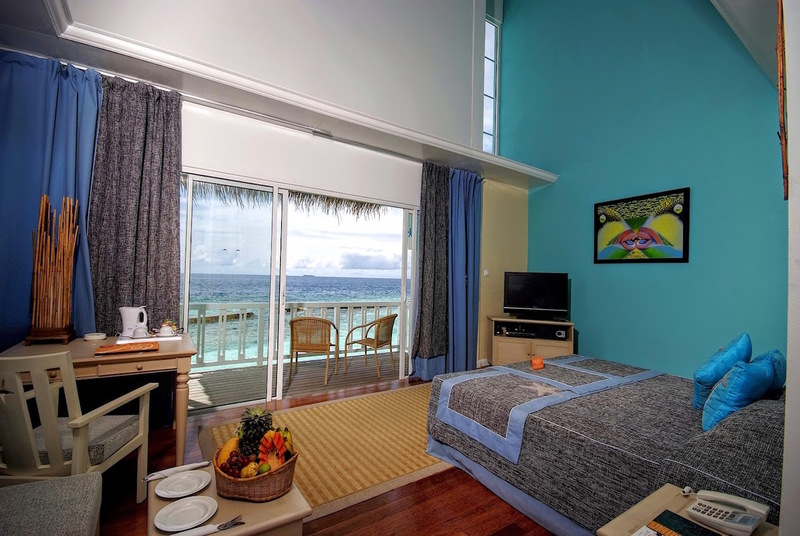 The standard rooms are perfect island bungalows, designed for the diving buff who wants minimum time in a room and maximum adventure under the ocean. 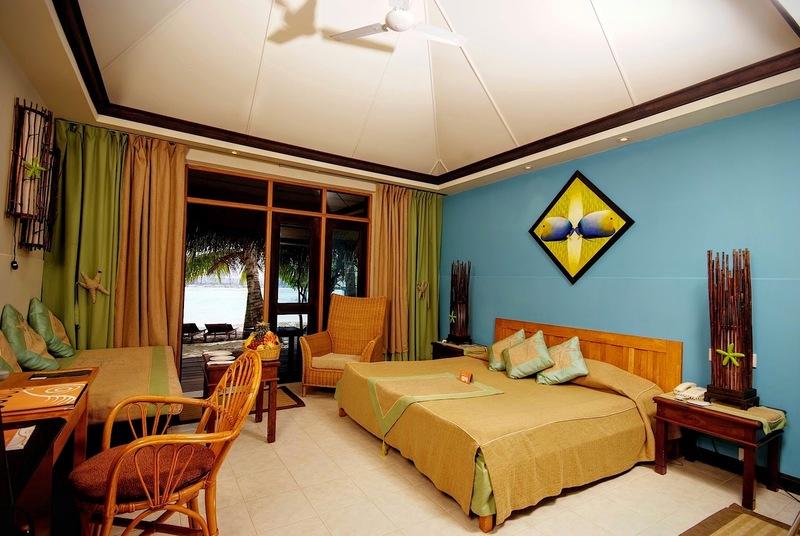 If you’re coming to Ellaidhoo for its action and excitement, any one of the spacious 14 Island Bungalows is a great call for the much needed downtime it provides. The island days are busy and tiring ones and we understand your need to unwind. Comfortable sleeping, outdoor showers and a host of amenities combine to make your stay a relaxing one, when you’re done with those long, adventurous days. 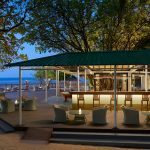 Want to come to an island in a group? Bringing the spouse and kids along? Then the Superior Rooms are your prime Maldives resort accommodation option. Surprisingly spacious, allowing comfort for up to four at a time, while still providing much needed personal space. Making up 28 in total, these family-style rooms are cozy and vibrantly designed, housing an open-air bathroom and terracotta floors, offering great views of the ocean. A loft-style 2nd floor, allows for additional beds and separated sleeping areas. This is great when you’re a mum & dad, and need some alone time together. 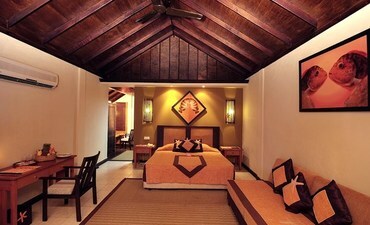 Come stay at Ellaidhoo Superior Rooms and get a little house all to yourself. 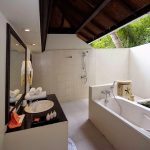 Each of the 46 beach bungalows at Ellaidhoo Maldives by Cinnamon have been designed to give you optimum privacy and comfort. 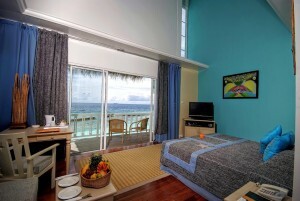 Walk into your room, open the shades and take in the ocean-island view as the waters change color from turquoise to deep blue. Designed with traditional Maldivian thatched-roofs, these quaint structures are located on the quieter quarter of the island, allowing you to seclude yourself for private time on the island, should you so desire it. Comfortable divans on the balconies and verandahs make for great lookout points too. If not, walk back into the ocean-blue interiors or take a long bath in your outdoor tub. Settle down here at night to sounds of the sea and a chorus of chirping birds – it doesn’t get much more au naturel than this! We’ve saved the best for the setting sun. 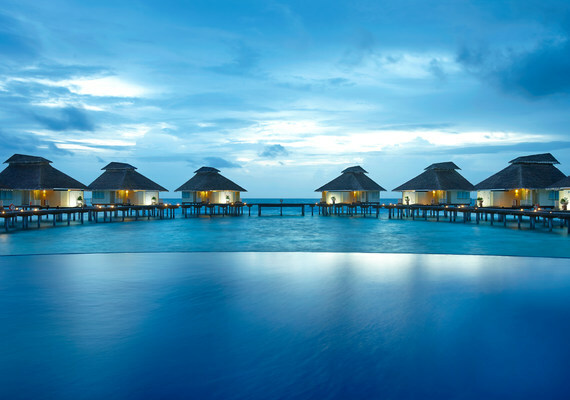 The magical water bungalows are the most pristine and ethereal you’ll ever know. 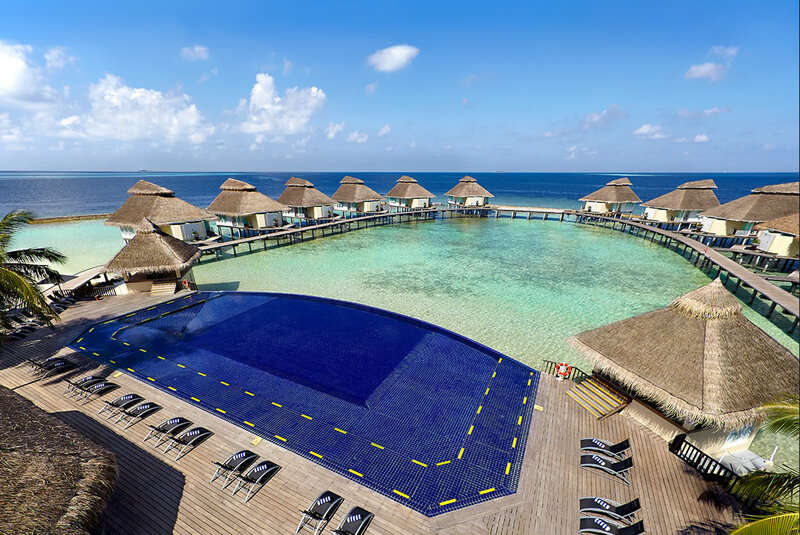 Sitting along a semicircular deck above the Indian Ocean, these white wood and thatched-roof water bungalows are the perfect setting for a magical time on our island. 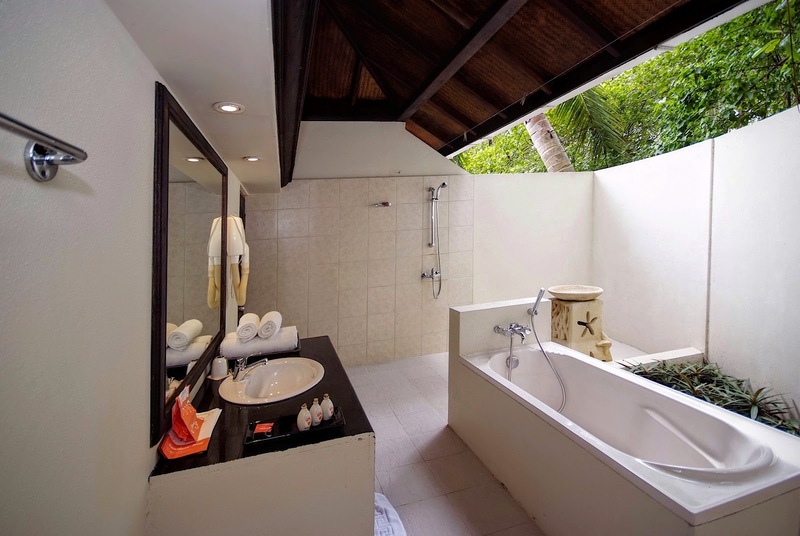 Walk in and let your eyes take in the vibrant, ocean-themed interiors and an inviting outdoor tub. The water bungalow’s private deck is a great way to watch the sun go down. 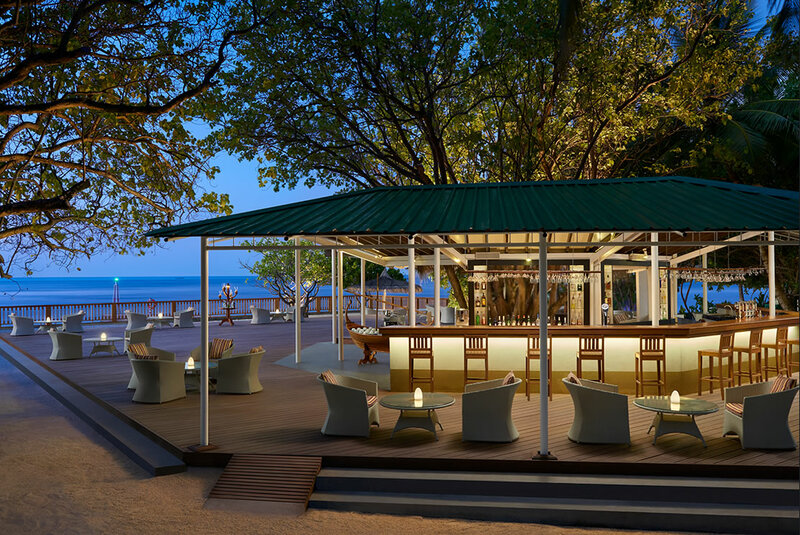 A separate dining area, bar and an excellent infinity pool combined to give you a complete island experience in one go. 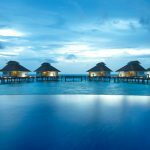 Take it, make it yours and fall in love with the magic we have on offer at the best Maldives Water Bungalows you’ll ever find.